Applebee’s is one of the more popular chain restaurants in the United States, combining a small town feel with the excitement of a sports bar, complete with high quality food and drinks. They have a wide range of target customers thanks to their family friendly atmosphere. Pursuing a job at Applebee’s can be very rewarding, and here we have provided for you some of the basic pieces of information that you will need if you are going to be successful in this career. There are many different jobs within a single Applebee’s restaurant. There are hosts and hostesses that seat people, servers that bring customers food and beverages, cooks, bartenders, managers, dishwashers, and bussers that clear off tables when you are done with your meal. There are a number of positions outside of stores, too. These range from drivers, to repair service positions, to sales, to corporate roles. Servers can expect to start out at minimum wage, but they can also expect to earn tips from each table they wait upon. Bartenders can expect about the same. Even though these positions have a low starting base pay, many in these position do quite well with the addition of tips to their wages, especially if they are friendly, upbeat, and provide quick service to their customers. Cook positions start at just above minimum wage and go up to around $11 per hour, depending on experience and performance. Managers can expect to start out at around $35,000 a year, but experienced managers that have good sales can see this quickly go up to as high as $55,000 a year or more. Corporate roles typically see pay go a bit higher than this, depending on what the role is and how much responsibility it entails. Applebee’s is the go to choice for many people when they think of a night out on the town. It has a small town feel to it, but it also has the reliability that you can expect from a well-established chain. They have a wide range of food and drinks and appeal to a large number of people, ranging from young families to the singles crowd to those looking to go have a few beers while watching the big game. 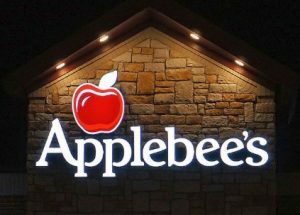 Fulltime Applebee’s employees, typically management, are eligible for benefits such as insurance, 401(k) retirement accounts, and paid vacation. 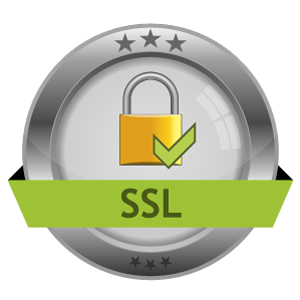 Not all servers, cooks, or hosts will qualify for this, though. To work at Applebee’s, you must be at least 18 years old because of the fact that they serve alcohol. In some states, you might need to be 21 to work in certain parts of the restaurant for the same reason. Other than this, there are not any formal criteria that must be met to gain employment. Having a high school diploma or a GED is helpful, though, as hiring managers do want to know that you have a basic understanding of addition and subtraction when it comes to handling money and giving out correct change. You do not need any sort of work experience to get started here, but there are a few things that can help. Having restaurant experience is a big plus, as is working with customer service and satisfaction. Having experience working a cash register is helpful, too. Management candidates do not need collegiate experience, although a business degree or something related to hospitality can give them an edge over other candidates. Applebee’s employees are expected to be professional, friendly, and ambassadors of their brand. Part of a successful career here is being a sociable people person. You should be friendly and able to engage with customers in an informal manner, all while acting professionally and respectably. You should be knowledgeable of the menu, be able to answer any questions that customers might have, and you should be able to make drink or food recommendations based upon the information that you are given. The first step to getting a job at Applebee’s is to apply. Go to their home page, scroll down to the bottom, and under the “Local” header, find the “Careers” link. From here, you can choose to select an hourly position, a management role, or a position at the corporate level. While you are filling out the appropriate application, be sure that you set aside enough time that you can focus on this undisturbed. It’s not a difficult application by any means, but the more focused you are on it, the more accurately and thoughtfully you can fill it out. Be sure to incorporate any relevant experience that would give a hiring manager a better idea of what you are capable of and where you would fit in with the company. When you interview, be sure to dress nicely and act professionally. Servers tend to be able to dress down here, especially during football season, but this doesn’t mean that you do not want to look like a serious candidate for the job. Be sure to spend some time preparing for the typical interview questions beforehand, and if it helps, write down a few key points about yourself that you’d like to mention in order to better your chances of getting hired. Bring these things up at the right times, and if you have any questions or anything you’d like to add at the end of the interview, be sure to write these things down to so that you do not forget them during your interview. If you don’t hear anything back after an interview, it is appropriate to follow up with the manager after at least a week has passed. They may be busy, so be sure to stop in during off peak hours, typically between meal times earlier in the day. Be patient, and if they don’t have time for you at that point, ask when would be a better time to stop by. Be sure to also dress nicely and act professionally at this stage, too.